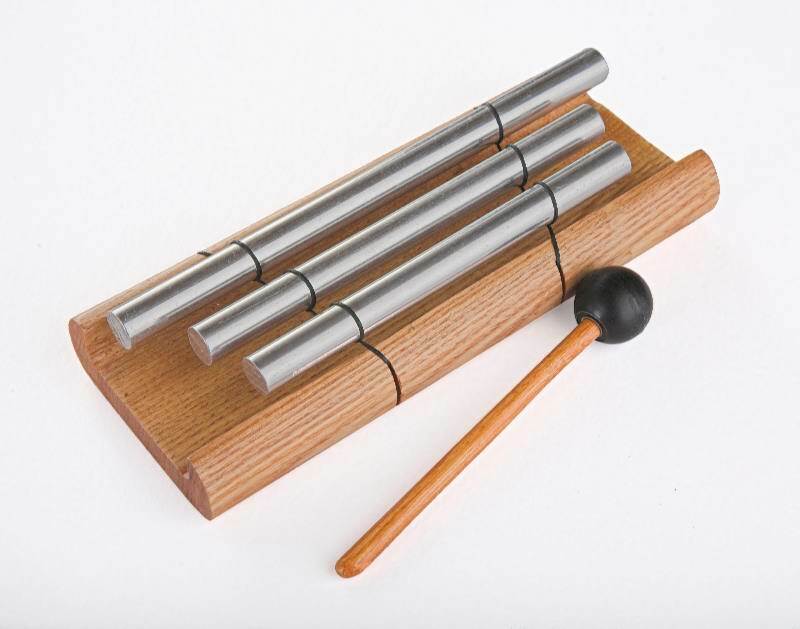 The three rods of the Woodstock Zenergy Chime - Trio produce pleasant tones that sound wonderful in any combination. Can be used as a personal instrument for improvisation and meditation. The pure sounds created by this chime helps one relax and re-energize. For best results, play the Zenergy Chime quietly, being careful not to dampen the sound by letting the mallet rest on the rods after striking them. Boxed for gift-giving. Length: 7.75 inches, Width: 3.5 inches.